Some Real Estate Agents Just. Don't. Get It. Home/Marketing/Some Real Estate Agents Just. Don’t. Get It. Some times no matter what statistics we share with Realtors and how much we prove that our services will help sell their properties, we just can’t win them over. It’s important to remember that you aren’t everyone’s client, and everyone isn’t your potential client either. I was invited to a luncheon to meet the builder of a property that I took photos and produced a video for. The home sold and he invited other agents and folks in the industry over for an open house to talk about and show the property before closing. The home was listed around $1.2 million and I think it was just shy of 6,000sqft. The builder contacted a home stager to bring in furniture I got the job after the stager relentlessly bragged about me and insisted the builder contact me. I have an outstanding business relationship with this stager and she understands the power of both of our services combined. Staging the property without taking professional photos just wouldn’t be a smart use of resources, and she would rather recommend someone she knows and trusts. When I arrived to the luncheon, I started talking with the builder and the Realtor who he hired to list the property. I was quickly smiling as I heard many complements about the photos and video, but I was most interested in hearing about the results of the video. I had multiple buyers call me saying they watched the video tour and wanted to come take a look in person. A couple from downtown Dallas saw the video and said they just had to come see the property so they drove here for a showing. As buyers would walk through I would hear them talk about remembering what they saw in the video. The buyer couple that has the property under contract… the wife keeps watching the video tour over and over. The wife hasn’t even seen the home in person – the buyers are out-of-state. Apparently what has happened is the buyers are moving to Texas and the husband came to look at properties. Instead of making an additional trip to Texas, the wife thought the video tour was enough to convince her that the property was perfect for them. She kept hitting replay. Clearly the online presence of the listing was extremely important. You would think the Realtor would have witnessed that first hand with the sale of this home. However that wasn’t the case! The agent didn’t offer any input besides the line above, and in fact I don’t even know if she saw the video at all. She mentioned how important photos are these days when selling homes, but didn’t comment on the video. In fact, proving the agent still isn’t caught up to today’s marketing standards when selling real estate, the builder mentioned that it was great having a Realtor that was willing to split the cost of the marketing media. That just blows my mind! 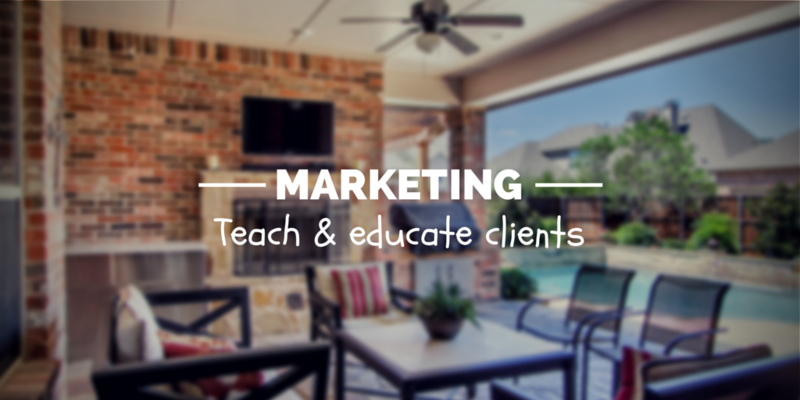 I have clients who pay for professional cleaning, staging and photography of $120,000 homes. They understand their brand and value they bring to their clients, and want the smoothest transaction possible. Here we have a Realtor who lists the property for $1.2 million, and she would only cover half of the photo/video cost – only parting with $2-$300 bucks? I’ll be quick to admit that I don’t know the arrangement between the builder and Realtor. She could have been taking an extreme discount to sell the home and couldn’t justify removing any more of her commission. But her lack of interest in the conversation and not showing any appreciation for the marketing material said more than I needed to hear. No matter how much you try to convince some agents, they will stick with their old ways because for them it works. And there’s nothing wrong with that! Learn how to recognize if a potential client can be educated into the benefits of some of the services you provide, or if your time would be better spent searching for someone else to value your product. 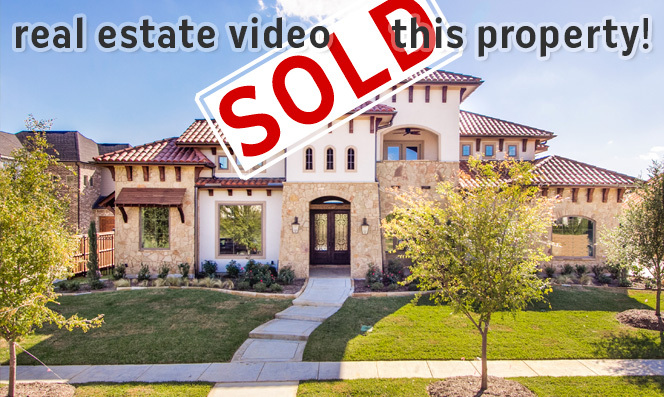 When selling my real estate video product, I always tell clients that my target audience is the buyer of the property – I’m not trying to make a viral video. Did you watch the entire video above? The majority of folks reading this won’t, because they aren’t about to spend $1.2 million on that property – they just aren’t interested! However as mentioned, the wife of the buyer has been watching the video over-and-over. Although the combined view count for this real estate video surpassed 700, view count shouldn’t be what you focus on when selling video products to clients. If eight views all from a single person result in that buyer closing on the property, we did our job marketing the property. Nice video, would love to know how you are getting your moving from one room to the next Technic, are you using a steadycam and speeding that section up. Yes the room-to-room pieces are done with a steadycam (Glidecam HD-2000 to be exact, you can find it under my Equipment page). I shoot it slow/steady, and then speed that portion up in post processing. Thanks Lance, very effective….loved it, also the little swishing sound really compliments the move, do you have the sound file link for that particular swish? Hi Lance – thanks for your post and comments. I can understand the frustration that you experience. 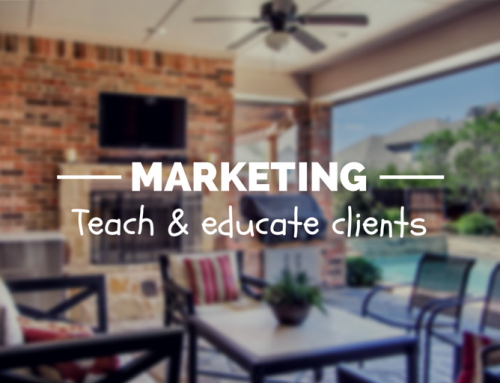 I’ve worked for many years with Realtors on the marketing end. I now work with a select number who appreciate the value of marketing (and are successful). They do well, I do (relatively) well, and there’s much less stress. More than the money, we appreciate each other’s services. Right on – that’s exactly how it should be! #teameffort and everyone is happy!